Brijasha Group is a real estate company in Jaipur, Brijasha Group has made an unforgettable mark in the history of the real estate business in Jaipur. 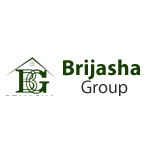 Brijasha group is established since 2005.Brijasha group has proven unique in the real estate business in Jaipur as they are proving their special strength, exuberant quality and excellence science 11 years of great expertise and satisfactory experience to their clients. We will always trying to give best residential plots and lands in Jaipur with all amenities require to give multiple benefits to your investments in a healthy and peaceful living.We have created some of the most groundbreaking episodes of real estate planning, residential township and property in Jaipur. the concept of brijasha group has been designed keeping in mind with all the basic needs & Requirements. we have launched new plots in sambhar and plots in bagru.We are capable of taking on such a large-scale development due to the strong trust and the wide networks, we have built through the continuous business experience in the Jaipur real estate marketplace.We are currently operating in Jaipur as a top builders and developers and are doing multiple group housing and Luxurious integrated township projects and soon coming up with a new residential property in Jaipur. The group will bring the integrated township with fully developed infrastructure and well planned roads, parks and shopping centers. Ocean City will soon be an address for high quality living.